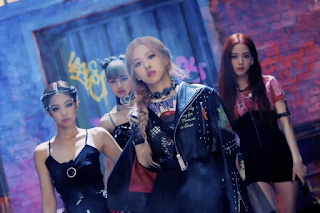 LISA has become a member of YG’s new girl group, following JENNIE. On June 8, YG unveiled photos of the second member of the new girl group. LISA is 19 years old and she has been trained by YG for the past five years. She is known to be fluent not only in Thai, but also in Korean, English, and Japanese. LISA has a big interest in dancing and she danced in a crew when she was young. LISA released her dance video on YG’s official blog in 2012, to draw big attention. LISA also worked as a model for global young street casual fashion brand “NONA9ON” established by YG and Samsung C&T Fashion, along with iKON’s B.I and BOBBY from even before her debut. LISA’s perfect proportion and exotic visual drew big attention. In the photos newly released by YG, LISA is boasting her face of a mysterious feeling and perfect legs. YG has been unveiling the members of new girl group one by one every week since June 1. First, YG unveiled seven photos of the first member JENNIE, to officially confirm her as the member of the new girl group. In 2013, JENNIE performed with G-DRAGON for his comeback performance for the second full-length album. YG announced that the new girl group will officially debut in this coming July. As the group is the first girl group in seven years since debut of 2NE1, the new team is drawing keen attention. Music fans’ interest is growing even bigger, as it is known that TEDDY is leading the preparation for the girl group’s debut as the producer. 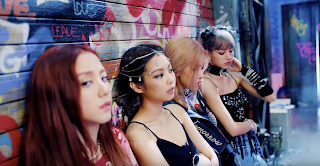 Music fans are expressing big anticipation for if YG’s new girl group will be able to become the next-generation top girl group to follow the footsteps of 2NE1.